Winnie Odinga has commended media personality Adelle Onyango following the launch of her noble initiative dubbed ‘Unapologetically African’. The former Prime Minister Raila Odinga’ daughter is one of the trustees of the initiative centered on the foundations of Youth Empowerment, Mental Health and Gender Equality. Speaking on the initiative, Winnie Odinga described the celebrated media personality as a phenomenal woman. “The launch of the Adelle Onyango Initiative is a great achievement for a phenomenal woman like Adelle, as it touches on issues (Mental Health, Youth Empowerment and Gender Equality) that affect our society. It gives me satisfaction as a Kenyan to be part of this noble cause by Kenyans for Kenyans, I hope someone will see this and put a smile on someone’s face today,” said Winnie. Winnie is a trustee alongside other high-ranking personalities such as Kennedy Odede, the founder of SHOFCO, Katie Harrison and Erin Thorton, co-founders of HIVE, and Valerie Sambu, media manager at WPP-Scangroup. 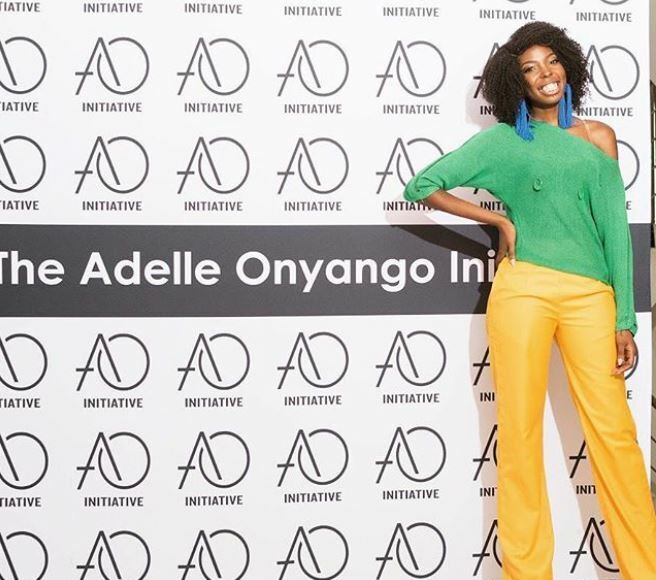 Adelle has gained international recognition for her efforts in empowering Kenyan women and youth, most recently serving on the Youth Advisory Board for the Bill and Melinda Gates Foundation’s second annual Goalkeeper’s conference.